Partnership With Native Americans (PWNA) identifies and supports projects showing promise for long-term, sustainable gains in remote Native communities. Typically, these Community Investment Projects involve community-led initiatives that add or enhance a necessary resource and positively impact the lives of the people in tribal communities. In one community investment project, Yuwehloo Pahki Village (YPV) on the Hopi Reservation in northern Arizona was hopeful they could use an existing trailer as an Elder center, but the local contractor assessed it as unsafe and unrepairable. Learning of this, the HOME Foundation (aka Helping Our Mobile Elderly) offered a grant to PWNA, if PWNA could raise matching funds to purchase and outfit a modular unit for YPV Elders to share. PWNA rose to the challenge! 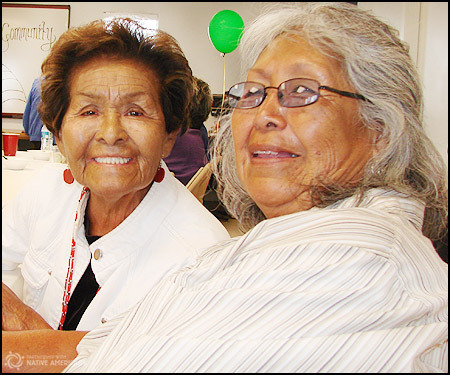 On June 5, 2013, the Hopi Tribe held a ceremony to unveil the new Senior Activities Center. The entire YPV community, Elders and tribal leaders came out for a special ceremony to dedicate the Senior Activities Center to the YPV Elders and to express appreciation for the funders and collaborators on the project. The YPV project was made possible in part by a grant from the S.L. Gimbel Foundation Advised Fund at The Community Foundation serving the counties of Riverside and San Bernardino, California, and was also supported by the grant from the H.O.M.E. Foundation of the Greater Los Angeles area. When selecting Community Investment Projects, higher populated areas do not necessarily equate higher needs. The YPV community did not even exist until the US government re-designated some of the Hopi land to the Navajo. This forced a small group of Hopi people to abandon their long-time homes and form the YPV community. This displacement from their natural homes and the resulting geographic isolation from the rest of the Hopi Tribe challenged the social connection and well-being of YPV Elders. Through the gift of a shared common goal, the YPV Senior Activities Center on the Hopi Reservation becomes a reality. All of the collaborators and the grassroots leader of the YPV community investment project recognized the need to support these Elders. Through the gift of a shared common goal, the YPV Senior Activities Center on the Hopi Reservation became a reality. The YPV Elders know the center is “their place”— a place where they can be together and have a sense of belonging. 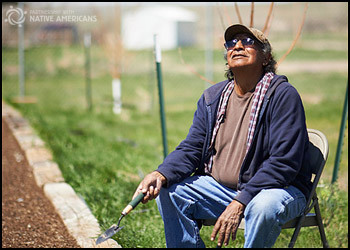 Serving Native American communities for over 25 years, PWNA serves immediate needs and supports long-term solutions for strong, self-sufficient Native American communities. PWNA's services include material aid, educational support, capacity building and community investment projects for sustainability. i Testimony of Laura N. GItlin, Ph.D., Before the Senate Special Committee on Aging Forum, Dec. 8, 2010. Center for Applied Research on Aging. Published at http://www.aging.senate.gov/imo/media/doc/fr229lg.pdf.